Boy, what a name, but it nets down to this: a bug spray and SPF-30 sunscreen in a pump instead of an aerosol. Aerosols aren’t good for the environment, but the pump is better. 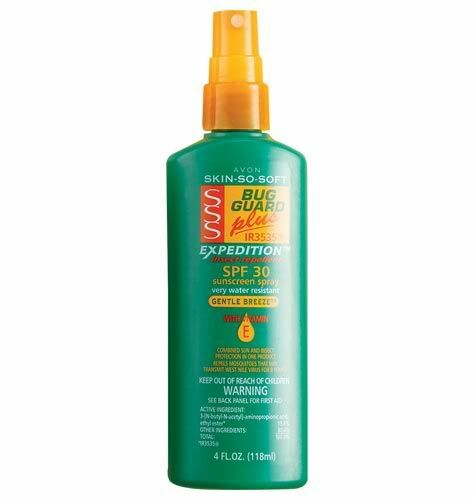 Avon’s Skin So Soft Bug Guard Plus IR3535 Expedition SPF 30 Pump Spray (breathe) is DEET-free, dermatologist-tested and hypoallergenic and protects against mosquitoes for up to 8 hours. You might not think of Avon for a product like this, but they’ve been make the Skin So Soft line for some time and we’ve found it to work really well.